NYACK—Ellis Sotheby’s International Realty reported recently it had successfully raised more than $6,000 this summer to build a hurricane-resistant house for a Haitian family through its partnership with New Story, a non-profit that works to transform dangerous living environments into communities of safe, sustainable homes. One hundred percent of the funds raised by Ellis Sotheby’s International Realty donors, including associates and agents who contributed donations from their home-sale closings, went toward the building of the new home. 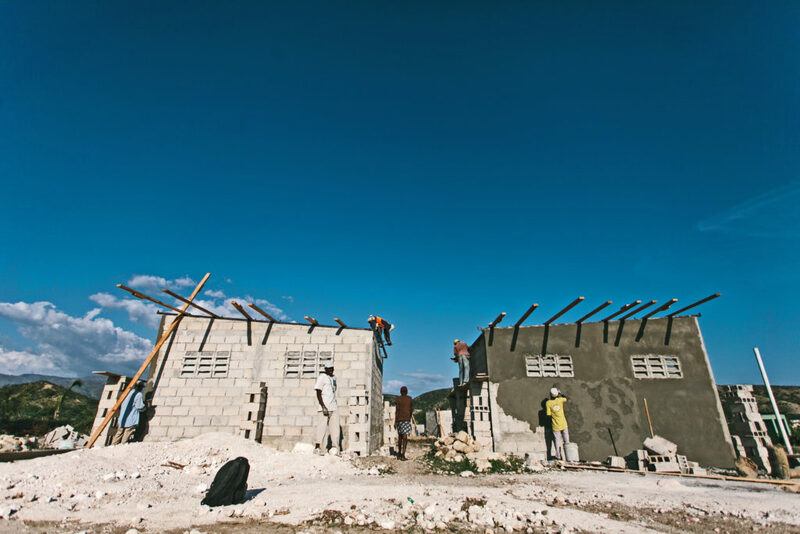 The Ellis Sotheby’s International Realty team, which also supports arts education in local schools through a partnership with the Edward Hopper House in Nyack, felt compelled to reach beyond the local community to “help Haitian families who lack basic human needs,” Ellis said. New Story, a 501c3 nonprofit based in San Francisco, has funded more than 750 homes in seven communities around the developing world since its start two years ago. Anyone can make a donation to New Story by visiting the www.newstorycharity.org.